The science behind sports performance psychology shows us how we improve own performance potential. Researchers around the globe investigate psychological factors in sport performance as related to psychological skills of coping with stress and anxiety. Stress and anxiety impacts athletes’ predisposition to injury in sport and also serves as a variable in the sport rehabilitation process (Kirkby & Kolt, 1996). Most often, however, stress and anxiety are implicated in sport performance. The outcome of a sport competition is thought to be impacted by how well or how poorly an athlete copes with stress and anxiety. In this article, three coping strategies are introduced based on the principle of brain plasticity. Neuroplasticity is the ability of the brain to rearrange itself through laying down new pathways. The brain is capable of trained changes with a psychological skill building program. The goal is to train the brain to automatically form controlled thoughts that facilitate rather than debilitate performance. These new thinking habits happen without stressful extra effort that often distract performers from the goal. Three short mantras for brain training habits include: 1) winner imaging, 2) power posing, and 3) automation squeezing. In theme with other coping mechanisms such as rehearsal and visualization, the effectiveness of imaging also centers on research that demonstrates the ability of our willpower to change the course of neural pathways in keeping with neuroplasticity central beliefs (Cisek & Kalaska, 2004). According to research by Cisek and Kalaska, visually rehearsing a motor skill or “imaging” was found to stimulate the same brain region, including the premotor cortex, as actually performing the skill. To combine this finding with another common coping strategy called goal setting, the performer could counter the effects of competitive anxiety in sport. Setting smaller, short-term goals has the benefit of helping us to monitor and track progress toward achieving a long-term goal. In addition, successful attainment of any goal — a “win” — has a “winner effect” (Weisinger & Pawliw-Fry, 2015), whereby a change in brain chemistry increases testosterone level and decreases cortisol level, enhances our self-confidence and motivation. Self-confidence and motivation are two of the main ingredients in combating stress and anxiety. The key here is that simply “imaging” a win or success will have the same “winner effect” in making us feel more confident. In other words, training the brain to image a positive win helps prepare for best performances. A 2010 research study (Carney, Cuddy, & Yap, 2010) on the power of posture indicated that telling an anxious Little League player in the locker room to “keep your head up high” is actually a scientifically-based performance booster. In the experimental study, participants were randomly assigned to “high-power poses” and “low-power poses” groups. A range of pre- and post-study measures of confidence, salivary testosterone, and cortisol levels were included in the stud methods, as was an observation of risk-taking behavior. Testosterone, although often misunderstood, enhances our confidence, motivation, and tolerance for risk-taking behavior and also increases our levels of dopamine. Dopamine is the feel-good hormone that stimulates the frontal cortex, which oversees our executive functioning capacity, flexible thinking, and problem solving. Executive functioning is important to helping athletes feel less anxious and under less pressure. As hypothesized, the study revealed a highly positive association between “high-power” poses and the cognitive, physiological, and behavioral changes of increased testosterone level, decreased cortisol level, increased tendency to take risks, and increased self-confidence. Testosterone also acts on the amygdala to keep the fear responses in check, so that we can perform more cognitively and think more clearly than emotionally. Moreover, along with imaging, posing confers long term benefits by increasing the number of receptors in the brain for testosterone. This helps protect against potential debilitative anxiety effects. Athletes can practice posing and devise their own high-power pose(s) to conquer their fear and anxiety with increased confidence. The last strategy of getting your brain trained to maximize performance requires a basic knowledge of memory system. There are two types of memory: working memory and procedural memory. Working memory is used when learning a new skill and is housed in the prefrontal cortex in the left hemisphere of the frontal lobe. Procedural memory is in the cerebellum in the right hemisphere. Motor skills here have reached a point of mastery, where skills can be performed automatically. Research evidence (e.g. Beckmann, Gröpell, & Ehrlenspiel, 2012) suggests that once a skill is automated, the left hemisphere is suppressed, or inhibited, and the activation shifts to the right hemisphere when performing a learned motor skill. This is more frequently observed among elite athletes. What this also means is that when athletes start consciously thinking about an automated skill or behavior, often under stress and pressure, it leads to inferior performance. Hence, squeezing a ball in the left hand or rhythmic squeezing of the left fist has been found to be effective in activating and restoring the optimal functioning of the right hemisphere (Beckmann et al., 2012). This facilitates skilled performance. While it is a relatively new area of research with research limitations, it has an important practical implication in sport performance. Due to a number of pre-performance routines such as breathing and relaxation are often used in enhancing focus and concentration, hand squeezing has the potential for wide therapeutic application, as well as in sport performance. Stress and anxiety affect all athletes around the world, and as such, the outcome of a competition often hinges on athletes coping ability to train the brain to transform the negative effects of competitive anxiety and stress into performance facilitating habits. 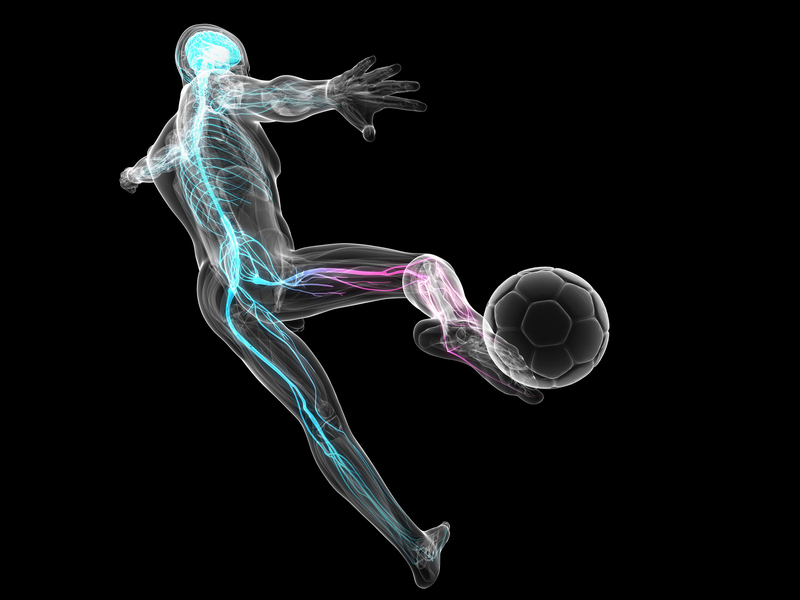 Grounded on the cutting-edge neuroplasticity science, the three psychological skills of winner imaging, power posing, and automation squeezing have profound facilitative potential in sport performance excellence around the globe. Beckmann, J., Gröpell, P., & Ehrlenspiel, F. (2012). Preventing motor skill failure through hemisphere-specific priming: Cases from choking under pressure. Journal of Experimental Psychology, 142(3), 679-691. Carney, D. R., Cuddy, A. J. C., & Yap, A. J. (2010). Power posing: Brief nonverbal displays affect neuroendocrine levels and risk tolerance. Psychological Science, 20(10), 1363-1368. Cisek, P. & Kalaska, J. (2004). Neural correlation of mental rehearsal in dorsal premotor cortex. Nature, 431, 993-996. Kirkby, R. & Kolt, G. (1996). Injury in Australian female competitive gymnasts: A psychological perspective. Australian Journal of Physiotherapy, 42(2), 121-126. Weisinger, H. & Pawliw-Fry, J. P. (2015). Performing under pressure: The science of doing your best when it matters most. New York, NY: Crown Business. Hwal Lee is a PA student at Jefferson College of Health Sciences in Roanoke, VA. Besides movies and boba tea, mental health education, outreach, and advocacy is his favorite 'hobby' that offers a much-needed reprieve from the intense study of medicine. Hwal completed his counselor training in Australia, and is a nationally certified Mental Health First Aid instructor in the U.S.